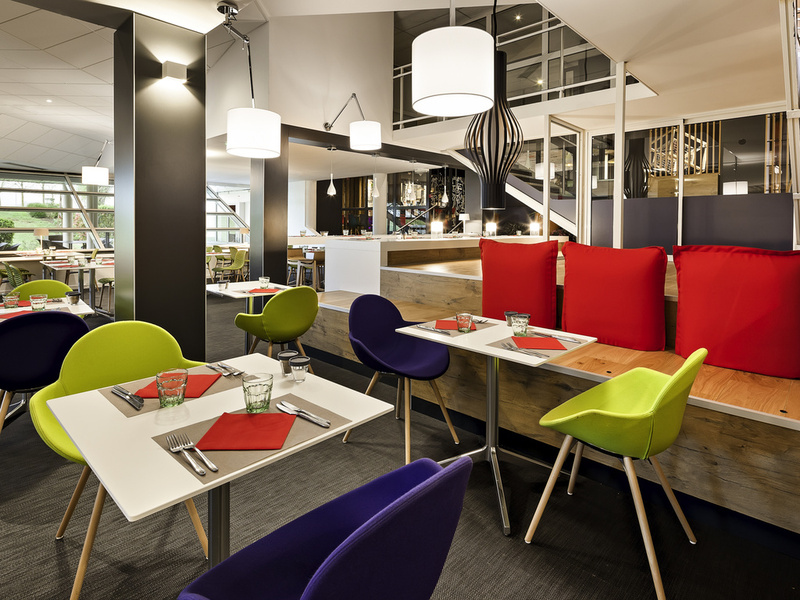 Didier Raquet and his team look forward to welcoming you to their hotel, the ibis Site du Futuroscope, the theme park where wonderful adventures await. The Hotel ibis Site du Futuroscope is situated opposite the tollbooth. A10 highway, exit 28. It is a 5 minute walk from the hotel to Futuroscope park and is 15 minutes away from the Palais des congrès conference center. It is 15 minutes by car from Poitiers SNCF TGV train station and 5 minutes from Futuroscope train station. The hotel is air-conditioned and offers free WIFI in the bar, restaurant, meeting rooms and in all 90 rooms. In summer, relax in the pool or on the terrace. Free, private car park. The nearest hotel to Futuroscope theme park, only a 5-minute walk away. Restaurant serving buffet and local produce. Our main objective is ensuring you enjoy an unforgettable experience. A musical universe with a stage and program of after-work entertainment. The L'Ôtre Dimension restaurant offers a selection of delicious buffets, which are continually changing based on the fresh, high-quality produce rigorously selected from local producers. Come and relax in our bar. People gather at the ibis bar at all times of the day for a bit of me time. Don't forget to book for our concert, show and board games evenings!